Retaining Wall Information from the Experts! Feet pounding the hot asphalt for more than a week. Why would anyone want to run all the way across Tennessee in July?!? TAKE SOME TIME TO LEARN ABOUT, AND DONATE TO, THESE WONDERFUL ORGANIZATIONS! NATIONAL, STATE-BY-STATE, PER-CATEGORY, "MOUSE-OVER", and MEMBER AREA. Can be purchased yearly or monthly. Call for rates. A graphic and text Ad appears when the mouse is "over" the state of your choice on the US Map! AT HOME WITH GARY SULLIVAN SHOW! Thank you Gary Sullivan, 55KRC (550AM), and Executive Producer Joe Strecker! During the "At Home With Gary Sullivan" Show on March 21st we answered retaining wall questions from across the U.S. from 10 a.m. to 12 noon. What a real treat - thanks, guys! with the help of viewers like YOU! Send us your retaining wall questions or ideas. ASK A QUESTION - REQUEST INFORMATION - NEED A VIDEO? 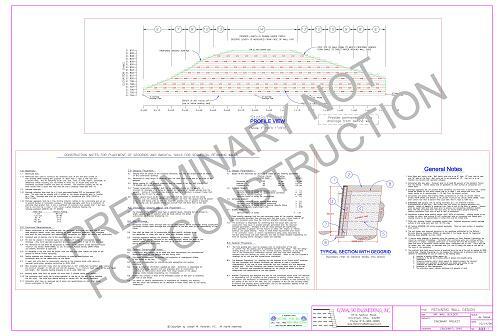 Having a preliminary design is crucial for an accurate bid on every geogrid wall. A preliminary design will result in accurate quantities for block, geogrid, soil volumes, excavation lengths and more. Be confident that your bid is accurate, tight and most importantly - profitable. 48-hour turnaround guarantee!